If you want your business to go online and you need a web hosting company that will match your expectations, Mambo Microsystems Ltd is your best option. We lead the industry when it comes to professional web hosting besides being Kenya’s cheapest hosting company. We can help you get that online presence you desire in minutes and keep your business ahead of the competition. We also have an easy-to-use site builder that we can use to help you create your web page so that you can get in touch with more potential clients. Our hosting packages come with email and web hosting and other more advanced services that you are not likely to get anywhere else. We have an easy-to-use Web-based interface and an email platform that is tailor-made to suit your business needs. You can get all these at the click of a button. Among Kenya’s cheapest hosting companies, we provide the most reliable and secure services. 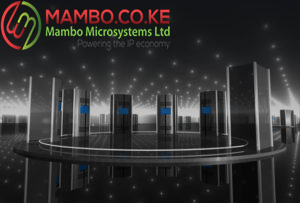 When you create an account with Mambo Microsystems Ltd, you will get the most professional support in the industry. Unlike our competitors who will leave you in the dark once you make your payment, we are always at hand to assist you. We will provide prompt responses to your questions or requests related to your account. We have a 24-hour online live chat to ensure you get the best attention.